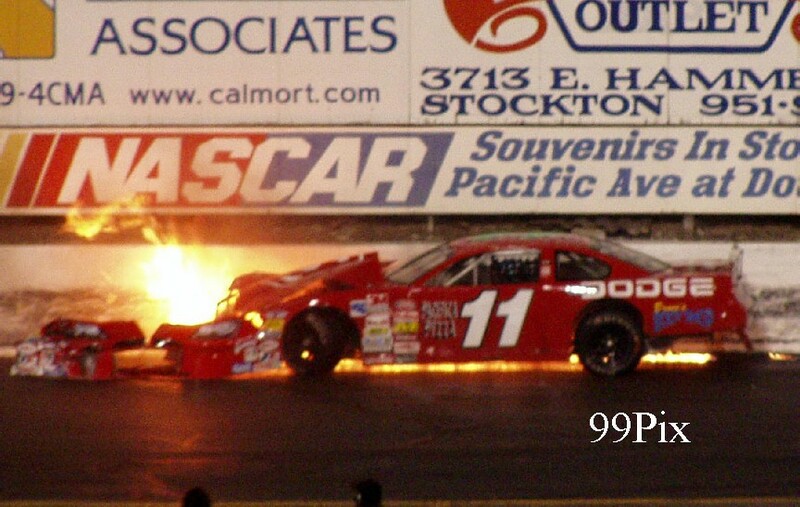 STOCKTON — Pete Anderson Jr. managed to stay clear of collisions in a wild 100-lapper at Stockton 99 on Saturday. That was all the Stockton native needed, as he led most of the way for the Western Late Model victory, helping him pass #20, Allison Duncan for the Tri-Holiday Classic series championship. Duncan finished fourth in the 100-lapper. "The only place I felt safe out there was out front," Anderson said with a grin. "And I definitely didn't want to give that up for nothing." With the win, Anderson also holds a 46-point lead over Duncan heading into a showdown for the WLM points championship on Sept. 17 at Stockton 99. 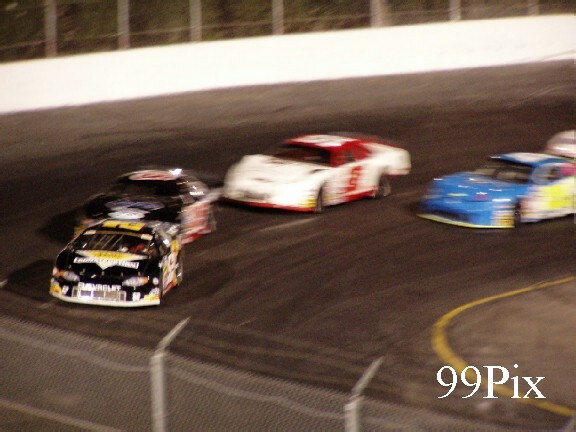 The final 100-lapper is a double-points night. "Pete's got a pretty comfortable lead," Duncan said. "He's not going to make any big mistakes that's going to cost him the championship." 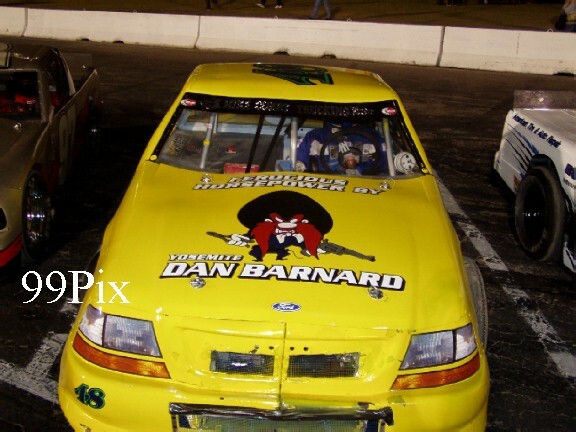 Duncan, the Tri-Holiday points leader coming in, had an uncomfortable first-half of the 100-lap race. 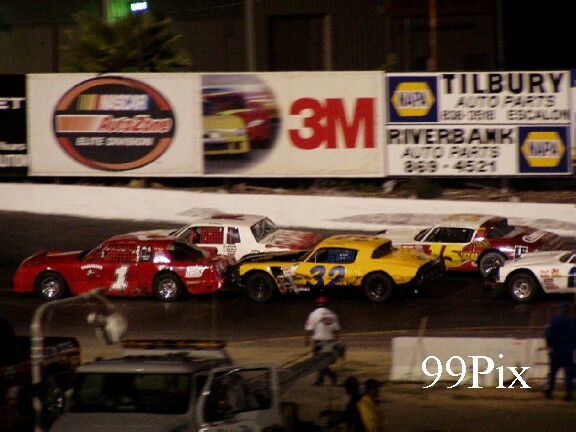 Trying to maneuver in a pack behind Anderson, Duncan and Dave Byrd bunched with Turlock's Chris Monez on lap 19. Monez, trying to move outside, skidded into the wall. 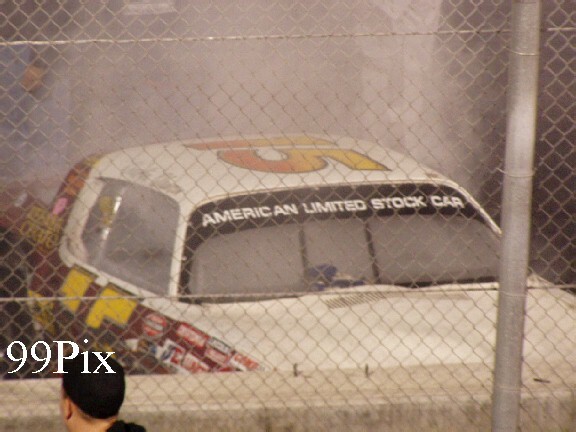 The collision caused his car to briefly catch fire before a red flag stopped the race. Monez, in third place in the WLM standings coming into Saturday, jumped out of his car, OK, on his own accord. 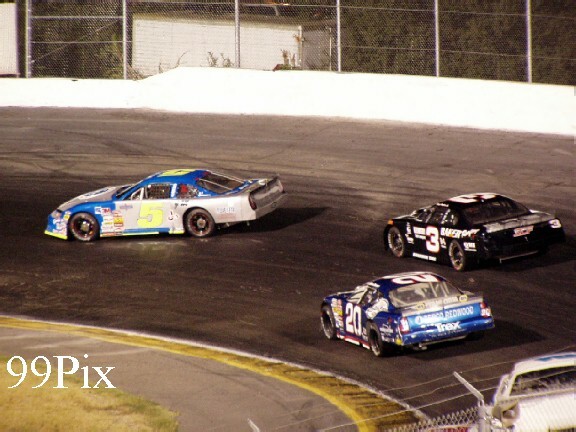 Twenty laps later, Duncan tried to make up some spots on a restart after a yellow flag. 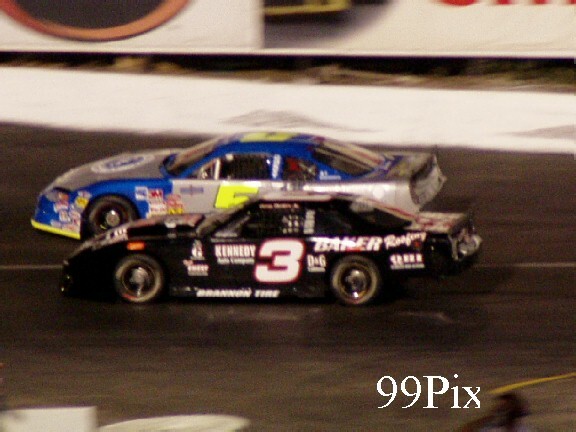 But when she tried going outside on Stockton's Gary Shafer, Jr., the two bumped, causing them both to spin out. Duncan said the two were simply both going for the same spot, "and I wasn't going into the wall." "There was some crazy stuff going on," she said. "A lot of it happened to be in front of me or behind me." In the Supermodified Racing League's Wildwest Series Shootout, #52, Tracy's Mark Smith led from start to finish, holding off several challenges by Turlock's #57, Wes Miller before taking the flag for his second SRL victory in as many weeks. 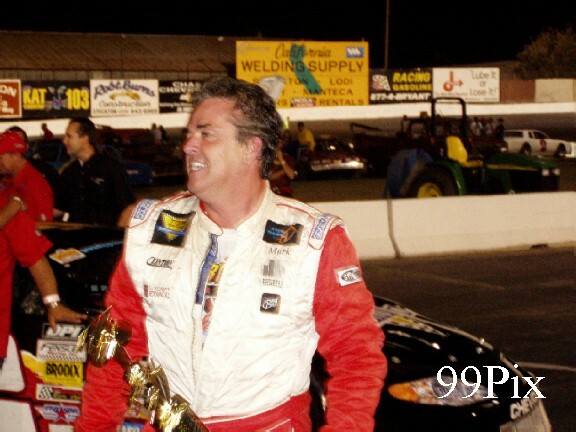 For Smith, who won on Aug. 20 at Altamont, it was his first victory at Stockton. For Miller, it was heartbreak. Miller crept up on Smith several times late in the race, making moves on the inside. 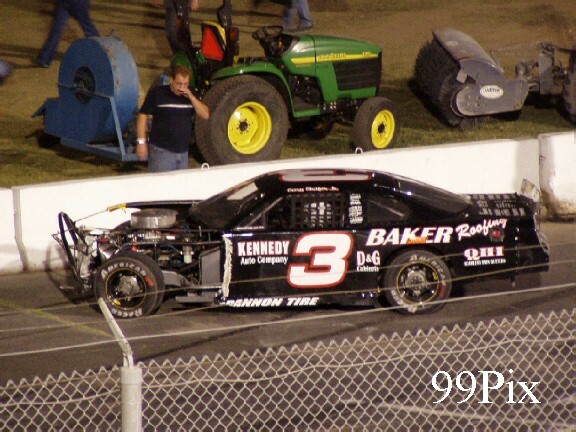 But on lap 91, he spun out of Turn 1 after blowing out his right rear tire, ending his chance for a victory lap. 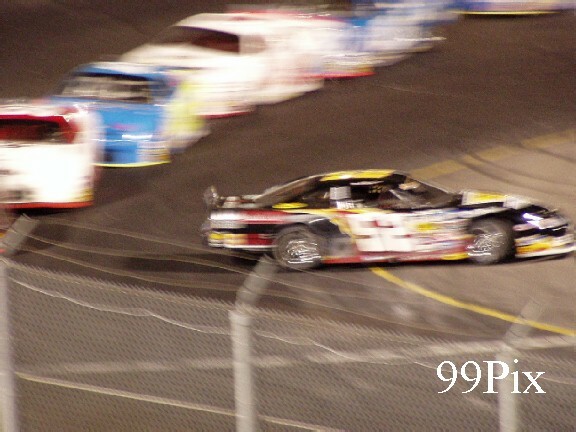 It was the sixth yellow flag of the SRL race. "It was frustrating to end like that," Miller said. "But the good thing is, this is a new car and it worked out great. Just five or six laps short." Bee staff writer Joseph Smith can be reached at 578-2300 or at jsmith@modbee.com. STOCKTON -- Mark Smith jumped out of his car, raised his hands and started screaming. 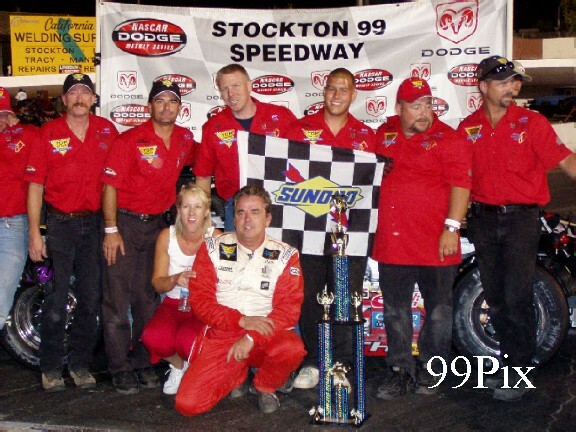 The Tracy driver had finally won at Stockton 99 Speedway, and he wanted everyone to know about it. 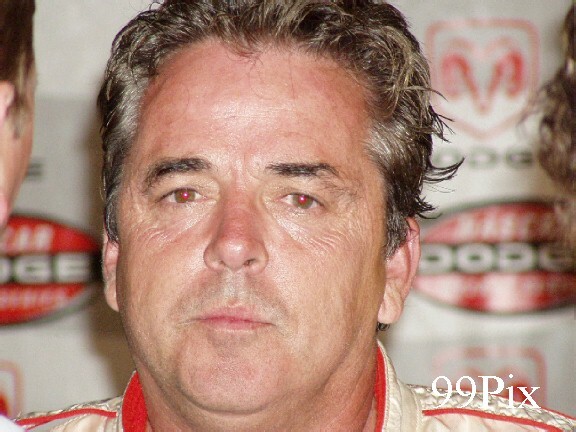 Smith never trailed in the Supermodified Racing League's 100-lap Wild West Shootout on Saturday, but he had to hold off a serious challenge by Wes Miller of Turlock to claim his victory. Miller suffered a flat tire and spun out with nine laps to go, and Smith eased to the finish line. Then it was time to celebrate. Smith yelled and waved to the crowd until someone finally handed him a trophy. He held it up and hugged his crew. "It's absolutely awesome. We've been wanting to win here since we first came here," Smith said. "I think we've been here six or seven times, and we've come close. It's a great win for us." 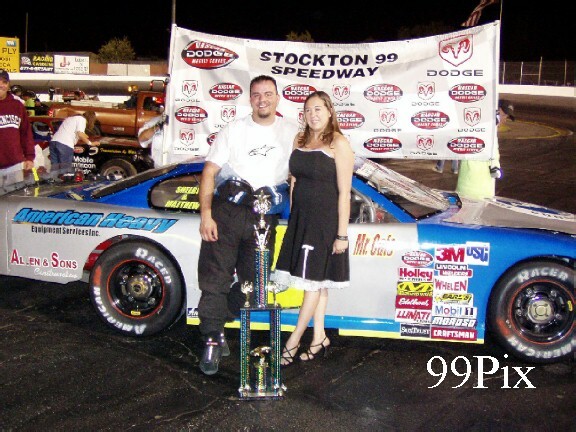 Smith won the prior Wild West Shootout at Altamont Raceway on Aug. 20 and finished second the last time the series was in Stockton on July 2. 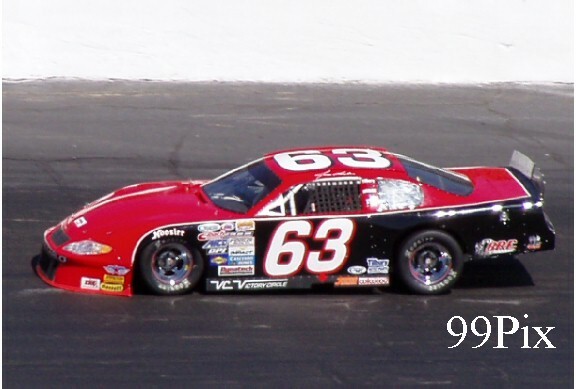 He is second in the series points standings behind #63, Jason Fensler. Smith qualified eighth and became the pole-sitter because there was an eight-car inversion. 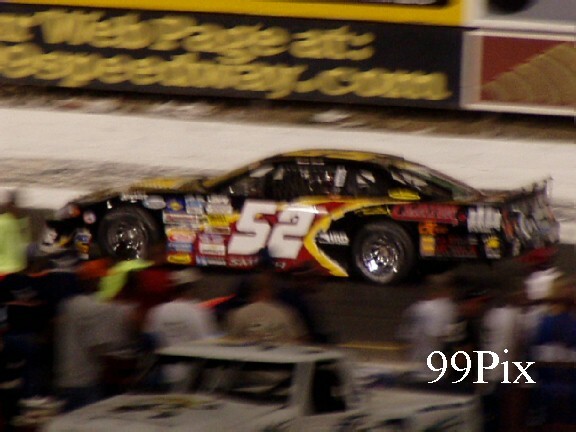 Despite having cars behind him that qualified faster, he stayed where he started. Miller challenged him several times, and he pulled even with Smith on lap 62. 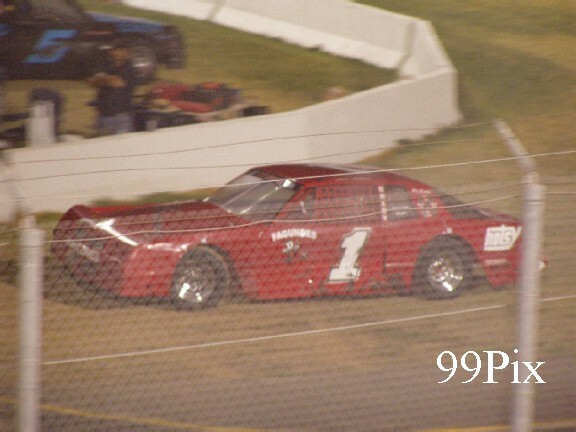 Smith was able to fight him off, but Miller was challenging again when he blew a right rear tire on lap 91. 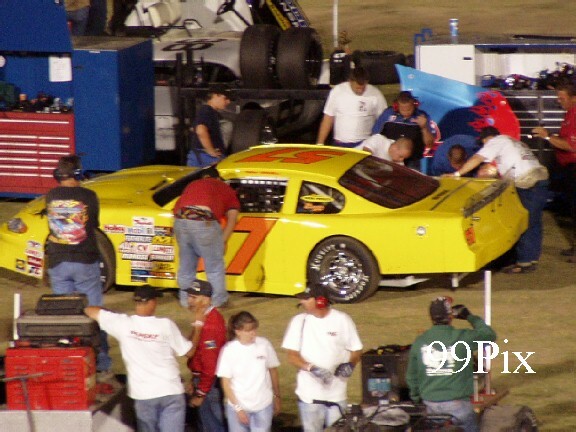 It was the first time Miller raced in the car, which is owned by Mike Garcia of Lodi. "Obviously, it's a frustrating way for it to end, but we were very happy with the car," Miller said. "The first time we had it out was to qualify, and we couldn't ask for more. 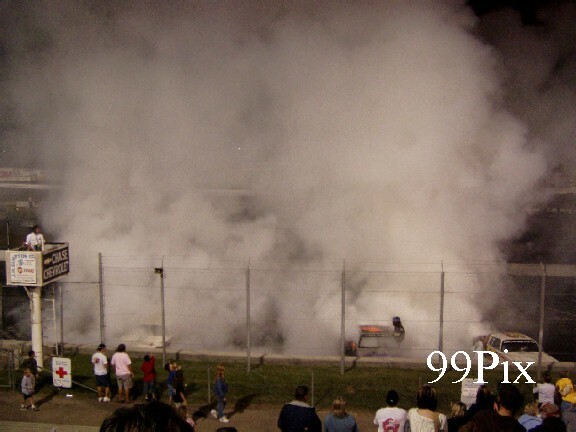 But there was a shock rubbing against the tire, and we couldn't get those last laps out of it." Smith did spin on a restart on lap 93, but the green flag never came out and he got his spot back. There were five yellow flags in the race. 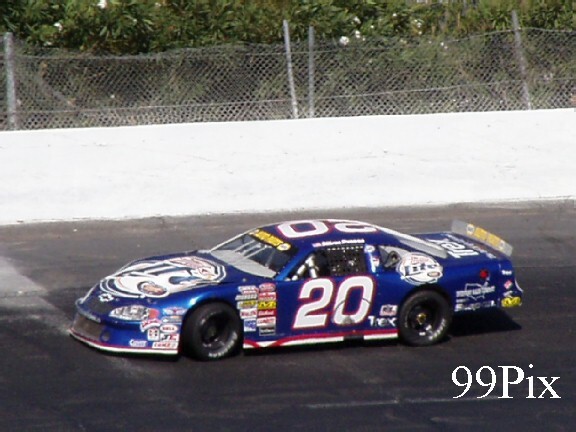 Unofficially, #05, Eric Schmidt of Roseville finished second and #92, Joey Zampa of Napa was third. 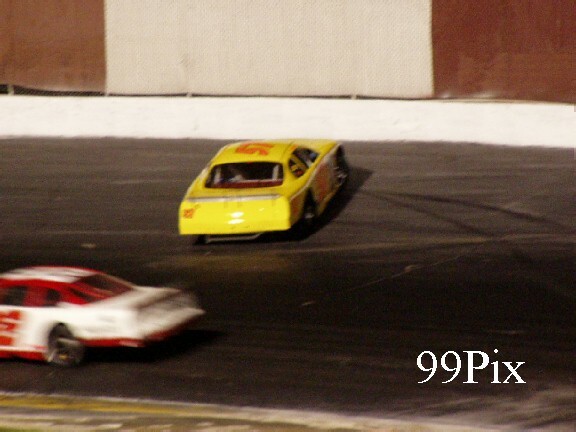 The NASCAR Western Late Model Tri-Holiday Classic and the American Limited Stock Car main event took place later Saturday night. Chris Monez of Turlock was the WLM fast qualifier at 14.186 seconds, but Gary Shafer Jr. of Stockton got the pole position, thanks to the six-car inversion. Shafer said he's hoping that it's a sign of good fortune. 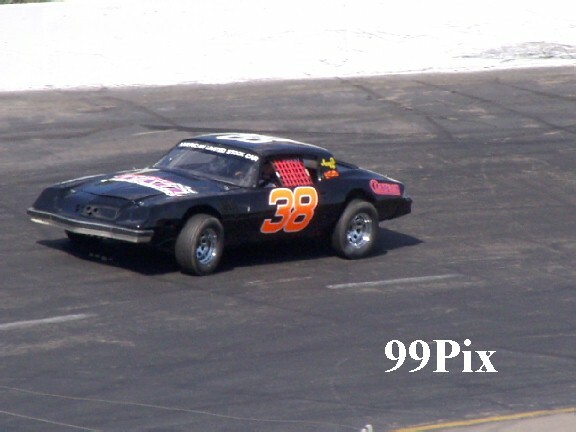 He struggled early in the season but has two wins and a second-place finish in his past three starts. "We've really turned it around, and it's a good feeling," Shafer said. "We want to do well for our fans and sponsors, and we plan to run for the championship next season." "I just got real lucky," said Clawson. "The car ran real good and I didn't have a lot of problems." 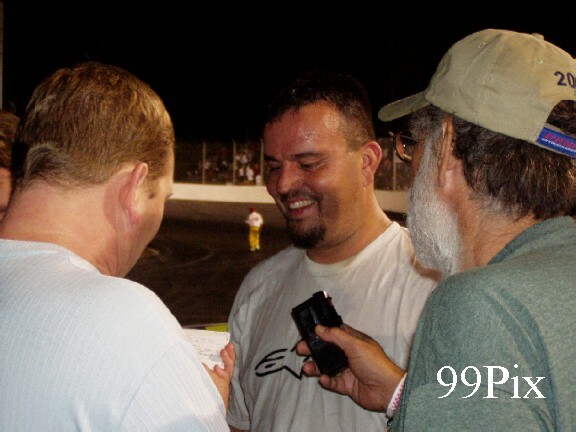 Clawson said that he was "nervous" heading into the CL BRYANT ALSC"s last race, because he had to finish in the top-15 to secure the championship. "An accident could have taken me out," said Clawson. "There was nothing concrete (prior to the finish)." waving in lap-28, which brought on the green-white-checkered finish. held to the end. The win was Allen's third of the season.